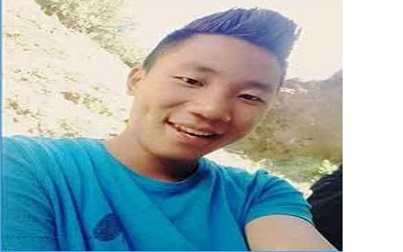 Arunachal Pradesh Congress Committee (APCC) on Wednesday expressed solidarity with the family of Toko Yame, a Class XII student, who was killed in Tawang 10 months back. The APCC demanded that the case be handed over to the CBI. The APCC termed Toko’s killing as a ‘pre-planned’ murder and criticised the failure of the State Government and Tawang district administration, which “seems to be shielding the culprits involved”. “It is understood that 12 members, involved in the heinous crime, were arrested and released soon without any proper interrogation and the investigating officer and the officer-in-charge were transferred to derail the investigation. These are indications of the Pema Khandu-led BJP Government shielding those persons involved in the crime,” APCC vice-president Minkir Lollen said. The APCC also came down heavily on the Tawang district administration and police for “succumbing to the diktat” of Khandu, who represents the Mukto Assembly constituency in Tawang district. “The BJP Government should shoulder the responsibility for derailing the case by posting new police officers, who are totally unaware of the case of Toko’s murder, which led to 10-months delay in getting justice,” Lollen said. The APCC also demanded immediate re-arrest of all culprits involved in the case. The State Congress extended solidarity with the victims of June 8 during bombarding practice by the IAF at Dollungmukh under Kamle district. It demanded immediate compensation to Bini Tabom, who succumbed to his injuries in 1992 and Bini Todum, who is undergoing treatment now. The APCC wondered why is the BJP Government in the State silent in the cases like Toko and Ojing Taying’s murder (last year) and IAF bombarding practice. “Despite a long wait by family members and well-wishers including various students’ organisations of Adi belt, there is no clue till date in the Taying murder case,” the APCC said, urging the State Government to hand over the case to the CBI for better investigation. The APCC said the Pema Khandu Government has failed to control the law and order situation in the State and deliver development activities in the State. “As such, he (Khandu) should step down from the chair owning moral responsibility,” the party said.